The Oaks is a recently constructed upscale Country Club community in South Florida, located on Clint Moore Road, just east of 441 in Boca Raton, Florida. Residents of The Oaks love the country club community feel, atmosphere and easy access to the links—all without the excessive membership fees and paperwork. The Oaks provides extra amenities, a nice quality of life and amazing architecture to compliment the beautiful surroundings. The custom homes of The Oaks have Spanish tile roofs to go along with the Mediterranean-inspired design. Construction began in 2002 so The Oaks is backed by 21st Century technology and the homes were built with longevity in mind. Single-family luxury homes start at 3,000 to more than 7,000 square feet. Many homes have private pools and stunning waterfront views. Want to work on your tennis game? The Oaks has 12 tennis courts and on-site pros so you can learn, improve and play with the best. The Oaks is also a family-friendly country club community, with a Clubhouse, pool, fitness center, spa, social activities, tennis complex, and a separate children's wing and swimming options. The Oaks offers rare luxury amenities, gorgeous homes in a pristine 282-acre resort-style setting with a focus on privacy, security and comfortable living. 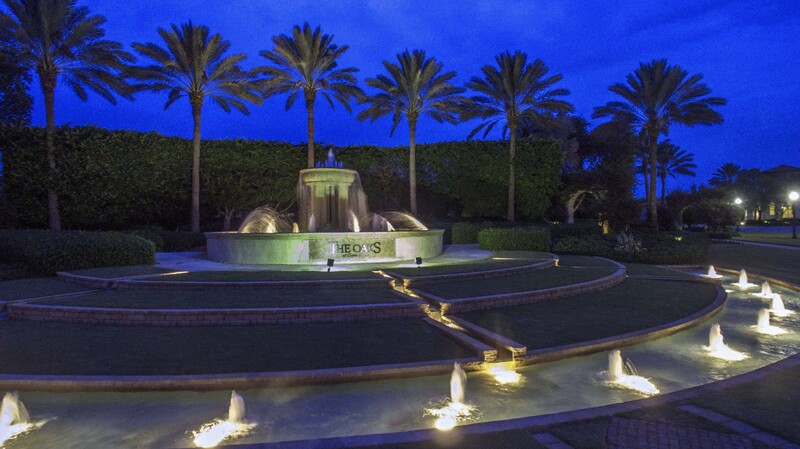 Contact us at Mizner Grande Realty for private tour of The Oaks and any other upscale Country Club Community.